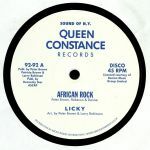 Review: Ever since Motor City Drum Ensemble included Licky's "African Rock" on his edition of Dekmantel's Selectors compilation series, copies of the original 1979 12" have been changing hands for vast sums of money. 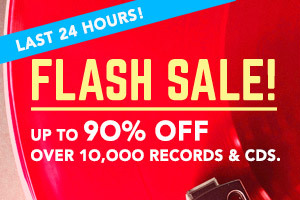 This facsimile reissue contains both the acclaimed Licky version - a polyrhythmic, carnival disco extravaganza full of whistles, raw sax lines, rubbery bass, mazy Moog solos and the kind of insatiable vocals that cause pandemonium on dancefloors - with the lesser-known, slightly more stripped-back and percussive Dream Lovers take that adorned the original B-side. Despite the different artist credits, both versions featured the same musicians and were produced by Patrick Adams collaborators Peter Brown and Larry Robinson.